Nicaragua is the largest producer of Caribbean spiny lobster in Central America. The fishery generates approximately $40 million dollars annually from exports, mainly to the United States. Thousands of Nicaraguans earn a livelihood through the fishery, from vessel owners and fishermen to packing plant employees. A critical issue challenging this fishery is the likelihood of illegal, unreported, and unregulated (IUU) fishing that weakens management of the resource and equitable access for local livelihoods. Concurrent issues are a lack of new or improved data on stock status, bycatch, and habitat impacts from lobster traps. The active involvement of FIP Stakeholders, including the Nicaraguan Institute for Fisheries and Aquaculture (INPESCA), helps drive improvements against the MSC standard. Establishing a Multi-Sectoral FIP Technical Committee, which is responsible for monitoring the implementation of FIP activities and ensuring that the FIP continues to advance to meet the MSC standard. Reviewing and documenting the bycatch, habitat, and ecosystem impacts of the fishery. Working with Nicaraguan government to officially adopt the lobster management plan which includes measures to address IUU fishing and has been updated with input from fishing communities. Establishing a Bi-National (Honduras & Nicaragua) Spiny Lobster Working Group to ensure robust data collection to feed into the development of a bi-national stock assessment with Nicaragua. Conducting a bi-national stock assessment to determine the health of the lobster stock shared between Honduras and Nicaragua. Updating and implementing the Nicaragua spiny lobster harvest control rules. We encourage action across the supply chain to support FIP progress. A FIP Participant is an industry member that is part of the seafood supply chain for the FIP product and is actively engaged in supporting the FIP. How Can I Become a FIP Participant? A FIP Participant is an industry member that is part of the seafood supply chain for the FIP product (e.g., retailers, food service providers, suppliers, manufacturers, etc.) and is actively engaged in supporting the FIP. WWF-US encourages support of FIP participants, and will acknowledge FIP Participants on our sustainable seafood website and in other communications regarding our FIP work. To be considered by WWF-US as a FIP Participant the participating entity is expected to follow the WWF-US FIP Participant Policy. For more information about what a FIP is and how you can play a role, please contact info@nullseafoodsustainability.org. The Marine Stewardship Council uses 28 performance indicators to assess the sustainability of fisheries. The chart represents the percentage of indicators that would likely pass, pass with conditions for improvement, or fail upon the fishery’s full assessment. We use a step-wise process to evaluate the fishery’s performance and identify sustainability issues, and then to implement improvements and report results. Want to dive deeper into this FIP’s progress on each of the MSC performance indicators? Visit FisheryProgress.org. Conducted a preliminary bi-national stock assessment to determine the health of the lobster stock shared between Honduras and Nicaragua. Preliminary results show that the stock is in good condition and the regional closed season could have been a factor that has positively contributed to lobster recruitment. Trap bycatch studies conducted in Nicaragua (both independent and dependent fisheries data collected) and in the Caribbean indicate that no significant adverse impacts from the spiny lobster trap fishery on bycatch species exist. 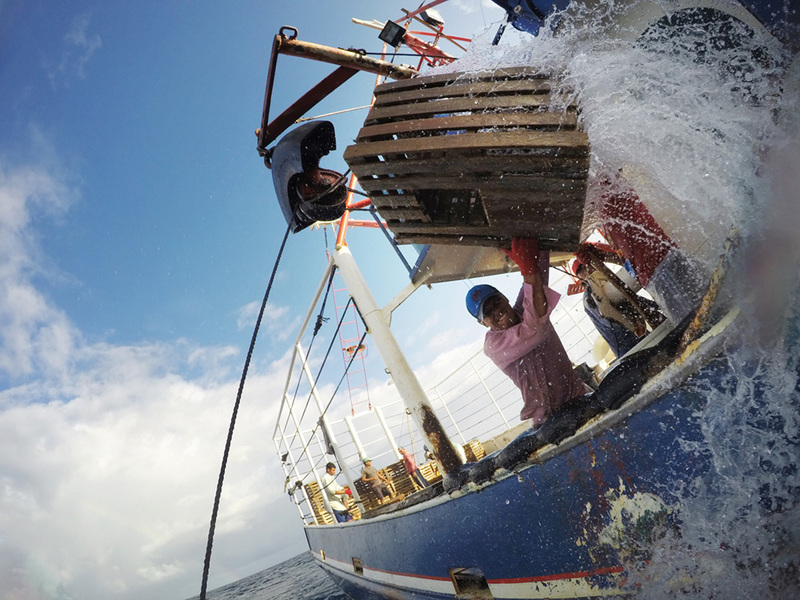 Improved data on the fishery that is needed to inform the stock assessment regarding the composition of the artisanal fleet, fishing effort, landings and estimates of IUU fishing. Reviewed and updated the Nicaraguan spiny lobster fishery management plan based on feedback received from several fishing communities.